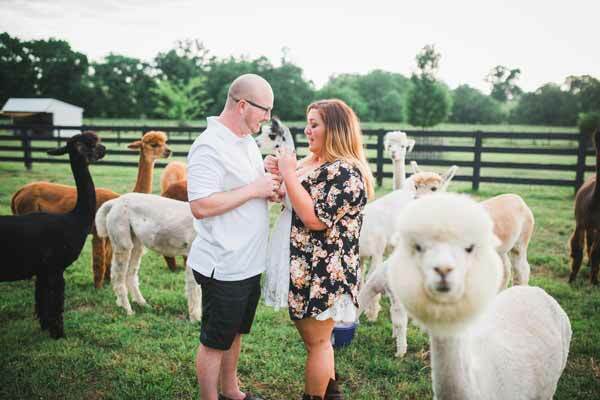 FRANKLIN, Tenn. -- A herd of alpacas photobombed a couple's surprise engagement photo shoot at a farm in Tennessee over the weekend. 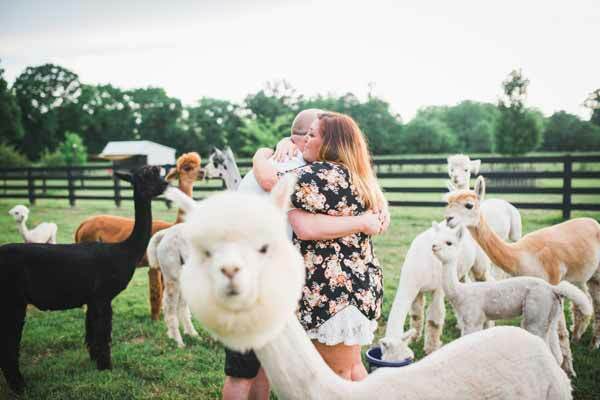 Kevin Scanlon convinced his girlfriend Bethany Rumley to meet him with their two children at the Hidden River Alpaca Farm in Franklin, Tennessee, for what she thought was a family photo session. As the farm's owners whisked the kids off on a tractor ride, photographer John Myers told the couple he wanted a few shots of them alone. 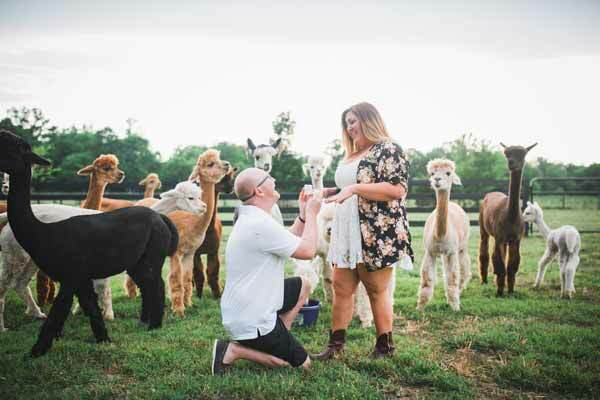 With that, Kevin dropped to one knee and popped the question. 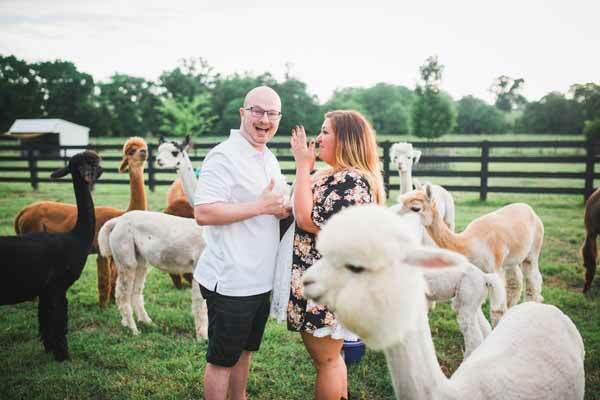 As Myers moved in to capture the moment, he said one alpaca moved towards him. "I had been feeding him earlier, so my assumption is that he thought I had more food," he said. 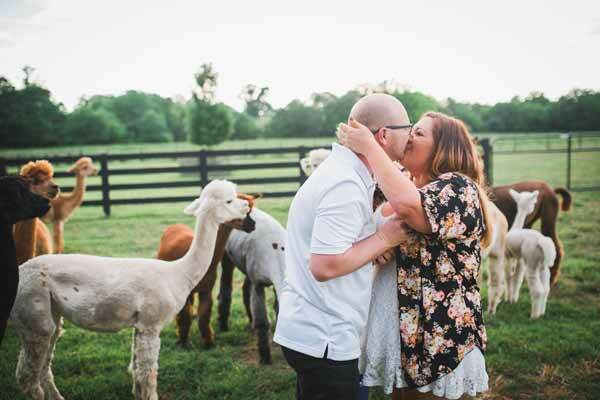 As the rest of the herd began to swarm the happy couple, Myers sensed something special and embraced the moment. He said Bethany and Kevin loved the results. 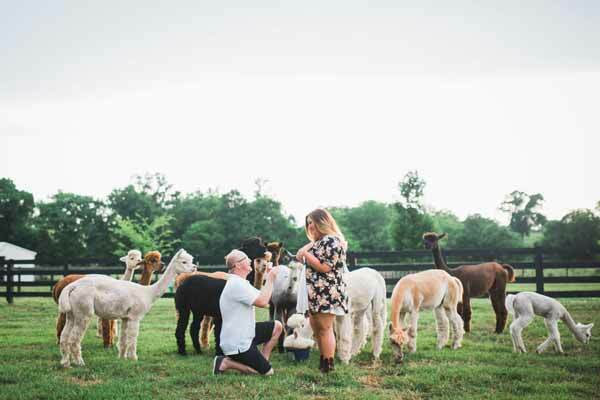 "It's not every day you see alpacas in proposal pictures," Myers said.